For years, the Deutsche Bundesbank has been planning a necessary expansion at its Frankfurt headquarters. Because the nearly 50-year-old Bundesbank headquarters is dilapidated. The striking Bundesbank head office on Wilhelm-Epstein-Strasse (217 meters long, 60 meters high, 14 meters wide) is faithfully preserved and modernized. 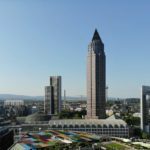 But that’s not all: 5,000 Bundesbank employees, who have so far been scattered in Frankfurt, will then move to the expanded location and stay in three newly planned high-rise buildings and the original office building building. 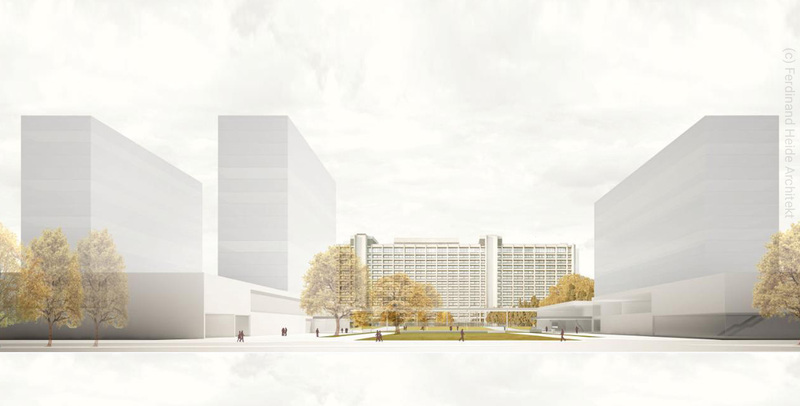 The architectural firm Ferdinand Heide won the competition for the redesign of the Bundesbank headquarters: three additional high-rise buildings – all as high as the former Bundesbank building – are being built and existing buildings demolished. Up to 1,500 cars should find space in an underground car park. Sports hall, day-care center, swimming pool, press center and gastronomy are being rebuilt, located outside the highly secured security zone – after all, considerable parts of Germany’s gold reserves are stored here at the Bundesbank. So far there is no concrete timetable for the project and also the construction costs are not yet officially numbered. In the end, probably a three-digit million amount will come out. So far, only two employees of the Bundesbank have moved into the FBC skyscraper on Mainzer Landstrasse during the years of reconstruction – presumably from the end of 2019. 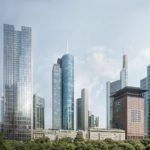 Originally, the Bundesbank planned – according to a Bundesbank insider – a striking skyscraper tower “at par with the ECB.” But the City of Frankfurt turned against it, not least because this location was not included in the current high-rise development plan so far. The presented preliminary architectural design by Ferdinand Heide Architekten is not characterized by architectural innovation, but simply copies the previous building block. This once again misses the opportunity in Frankfurt to build especially instead of throwing up square boxes. The money should have certainly not acted at the Bundesbank. 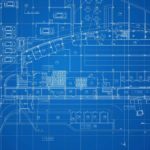 The Deutsche Bundesbank and the City of Frankfurt should work towards making the architecture of the new buildings special.